Be sure to ask BEFORE you adopt or surrender a Bengal. Did you know... Bengals go better in pairs? As a very active and intelligent cat, a bored Bengal is no different than a young child, and can get into lots of things. So, when considering adoption, consider TWO!! Adoption through the Bengal Rescue Network is fairly simple, however there may be some differences by State and/or region. Here is what you need to know about the adoption process. You must be at least 21 years old to adopt. While each State may have different definitions of "legal age of an adult", we have made this decision. You will be signing a binding contract, and a minor cannot enter into a legally-binding contractual arrangement. You will be asked to fill out the "Cat Adoption Application". This includes questions about you, your family, your current living environment, previous pets, current pets, etc. There are even a few questions about cat health and care. Your questionnaire will be reviewed to see if your home would be the best fit for the particular cat you are interested in. If your questionnaire is denied, it does not necessarily mean that you can never adopt a Bengal - it could be because your home isn't the right fit for this particular cat. For example, if the cat needs to be the ONLY cat in the home, we will not place it with someone who has a cat already. It is our goal to find loving forever homes for each and every rescue. With this in mind, cats are placed in homes that we feel are best suited to their personal needs. If you application for a particular cat is denied, you will be notified as to the reason why and, if appropriate, given the opportunity to remain a potential adopter for a cat that fits your interest and is best suited for your home. If your questionnaire looks to be the best home for a cat, you will be contacted for a phone call interview. In the busiest rescue seasons, the phone call interview may take a bit longer to complete, so please be patient. We want to get to know our potential adopters and have a chance to answer any questions you may have. 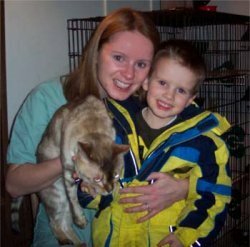 Bengal Rescue reserves the right to complete a home visit during the review process, when delivering a cat to its new home, and per the Contract, at any time after a Bengal is adopted from our Organization. - A lifetime of food, water and litter? - Vet visit within the first 5 business days of coming home as required by the adoption contract? 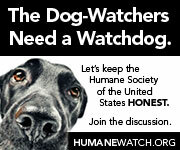 - Vet bills for yearly check ups and vaccines? - Emergency treatment, should it occur? - Other expenses of caring for a cat? Once the review and interview is completed, you will be met to review and sign the Adoption Contract. The location for this is at the discretion of the Foster/Regional Coordinator, and may require you to travel to pick up your new Bengal. This is something you need to work out with the Foster/Regional Coordinator. Bengal Rescue and its representatives reserve the right to withdraw from this process at any time up to the completion of the signing of the Contract by both parties and receipt of the Adoption Fee, respectively and inclusive. Should the fee have been paid in advance of the Contract signing, the Fee will be returned within a time not to exceed 30 days from the "walk away" denial. While this situation rarely occurs, it is our responsibility to always consider the "best conditions and situation" for these cats.